Buying your first home? Congrats! Purchasing a new house is an exciting time but it can also be overwhelming, especially if you’re a first-time buyer. It’s a huge financial commitment and the process can be confusing. From selecting your mortgage to going through the escrow process, it’s best to know as much as possible before you begin the search. This way, you’re prepared once the process gets moving. Read on to learn everything you need to know about buying a home for the first time. If you’re planning to buy your first home, you’ve likely been saving up for your down payment. But do you know exactly how much you’ll need to save or that there are various down payment options available? Most people plan to put down the standard 20%. But do a little more research before you commit to this type of down payment. Many lenders will allow you to put down less up front. This can help you get the home you want, faster. A lower down payment will mean a higher mortgage rate and monthly payment but if that’s not a concern this may be a great option. Some private lenders will let you put down 10%, 5% or even 3%. Determine what’s right for you and what amount per month you feel comfortable paying before making your selection. When selecting your mortgage, you’ll want to compare rates from more than one lender. Whether you go through a bank or a private lending firm, each place will get you a slightly different deal. Compare the down payment they’re asking for and what your interest will be. There are also different types of mortgages to consider. For example, many people opt for a 30-year fixed mortgage. This means your interest rate is locked for the duration of the loan term and can not go up over time even when the government raises interest rates. An adjustable-rate mortgage may get you an extremely low interest rate but be careful as they can change the rate on your during your time paying the loan as the name suggests. You can also choose from a government-insured or conventional loan. Learn more about the variety of mortgages and ask your lender to present you for options with each so you can compare and make the best selection. 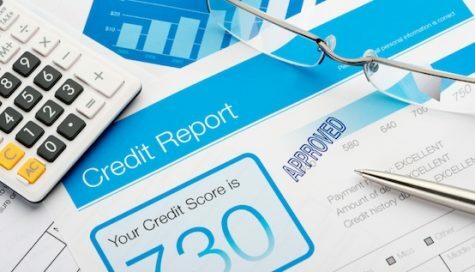 It’s simple, the better your credit, the better deal you’ll get on your loan. This is because the lender will see you as an ideal candidate to borrow and someone who pays back loans consistently and stays above board with everything they lease, rent or own. Before you begin working with a lender, you should pay off any outstanding debt, pay down your credit card bills to lower your balance and pause any new items that could affect your score. Meaning, don’t go lease a new car right before you want to secure a home loan. This will lower your credit. Getting a pre-approval letter from your lender lets you know exactly how much you can afford, what your down payment will be and what your interest rate is. Having this information is extremely helpful in helping you find the right home that makes sense for you and your budget. If you start house shopping before getting pre-approved, you may be looking at homes you don’t have a shot of getting. Having a pre-approval letter also makes you competitive in today’s marketplace because it allows you to make an offer immediately. 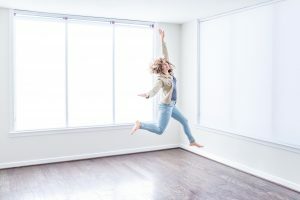 When you see a home you like, you don’t have to call a lender to get that process started, you can simply make your offer because you know what you’re approved for. Selecting the right real estate agent is a key factor in a successful home-buying experience. Choose wisely. You want someone who is experienced in the industry and also in the neighborhood or area you want to buy in. This way they can help you determine if a home you’re interested is worth the money, will grow in value or if there’s a new up and coming area close by that may be a better investment. It’s also their job to treat you like a first time home buyer. They should carefully explain the process from the day you make the offer to closing. They should walk you through how escrow works, important dates and deadlines along the way and how closing on a home will go. You’ve never done this before so having someone who communicates well and takes their time to explain the process is very important. While it’s good to stay open to different areas around you, try to zero in on a few neighborhoods that are in your price-range and work for your lifestyle. 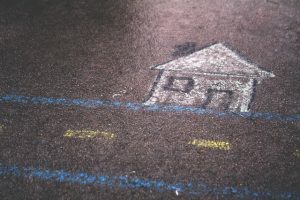 This will help you and your broker focus on these areas and be the first to know when something new goes on the market. Consider walk-ability, commute, safety, school district and more when making your selection. Your first home will likely not be your dream home. Meaning, you’ll probably have to compromise or sacrifice something you wanted. It’s important to make a list of your non-negotiables so you don’t waste time looking at homes that don’t fulfill this. If you absolutely need 3 bedrooms and 2 bathrooms, that’s what you need and you shouldn’t look at a house with less. Once you write this list, it will help you and your broker filter your search and find a home that meets all the required elements. After you’ve been pre-approved you’ll have a very clear idea of what your limit. This amount may be more than you wanted to spend, so don’t feel like you have to look at homes in that price range. Your letter just tells you what you could get. Whatever your maximum budget is, be sure to look at homes at that price and below. You may find a home priced lower and need to be competitive on your offer. Many homes in this market go for over asking and if you’re only looking at homes at your max budget, you can’t compete in the same way. See what’s out there! 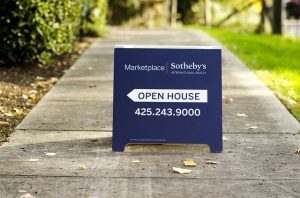 Spend your weekends going to open houses. You can go with your broker or on your own. It’s good to get an idea of what homes are selling for, what they look like and their area. It’s also good to get a feel for how many other people are searching in the areas you like. Are the open houses packed? This is likely a competitive market then. This is all about research, knowing what you like, what you don’t, and possibly finding the perfect home in the process. Many first-time home buyers are shocked to learn about the extra costs associated with buying a home. While you can’t anticipate every little thing, there are some sure-fire expenses you’ll have to fork over. It is your responsibility to pay for the inspections on a home you’re interested in purchasing. Depending on which inspections you select (sewer, general, mold, roof, chimney, etc.) you could pay anywhere from $500 – $2,000. There are also escrow fees due at closing. These fees will vary based on the escrow company you’re working with but it’s usually about $2 for every $1,000 of the cost of the home. You’ll also be required to purchase homeowners insurance before escrow closes and prove you have it along with paying property taxes. These are all expenses outside the realm of the actual home and it’s purchase price so it’s important to set aside money for them. While it’s your brokers’ job to walk you through the process, they’re likely also working on deals with many other clients and may not have the time to take you through every step and explain things to you thoroughly. The best thing you can do is a little research to educate yourself on the process and its various steps. This way you know as much as a first time home buyer can and feel as prepared as possible along the way. Now that you know all the steps to start the process of buying a new house, it’s time to start planning. Be sure you do as much research as possible, select a terrific broker and lender, and take your time to find the house that’s right for you. We’re here to help you save money, invest and get out of debt. Contact us today to see how we can work with you to fulfill your dreams and accomplish your goals.